Back to School season is in full swing! While some kids have already started class, around here they don’t start for a couple more weeks so I’m still scrambling to find everything my tyke needs and wants for back to school. My son loves video games, so I went on a hunt for a lunch box that would show off his passion for gaming. The problem is I couldn’t find one anywhere! The particular game that he loves the most was nowhere to be found at the store or on online – not in lunch box form, anyway. I was determined to get him his coveted lunch box so I improvised! I decided to DIY it, and it worked out beautifully. 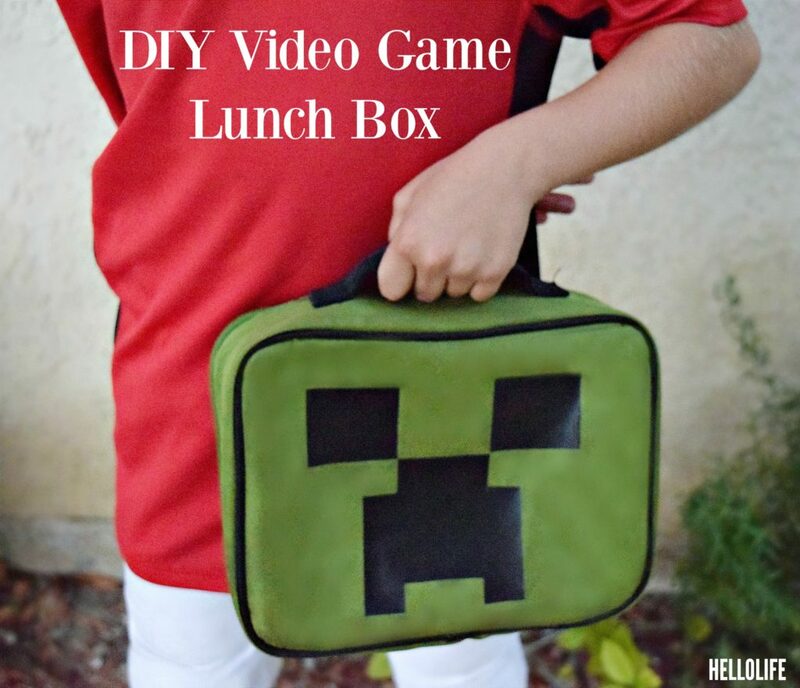 This Video Game Lunch Box came together so easily! A few materials from my local craft store and a new plain lunch box was all it took! Cut out the desired design with your scissors. In this case, it was a series of squares so it wasn’t very difficult to cut out manually. If you have an electronic cutting machine you can get really creative with different designs! Follow the simple directions on the iron-on vinyl to apply the vinyl onto the lunch box. Allow to cool. If applied correctly, the iron-on vinyl is washing machine-friendly. This is excellent news if you have “spill-happy” kids like I do! My son loves his new lunch box and can’t wait to show it off at school!